Heineken International has launched ‘Continental Shift,’ an advertising campaign starting the countdown to the opening game of Rugby World Cup 2007 in Paris on September 7th. Heineken will once again be the Official Beer of the Rugby World Cup and holds Official Sponsor status. Referring to their new campaign theme ‘One World, One Cup, One Beer’, Heineken presents a TV commercial in which thousands of fans from all over the world show their passion for the game of rugby and for Heineken beer. 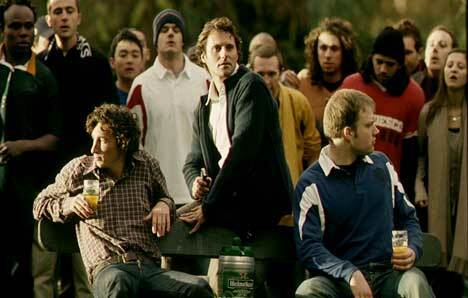 The television commercial was shot in a number of iconic locations around the world, and is based around the idea that rugby fans will do anything to get to Rugby World Cup 2007. The result: they scrum down together to shift the world’s continents closer to Paris. Melinda Eskell, Manager Heineken Brand Communication commented, “Bates Singapore have done a great job with the new campaign. It creates a unique atmosphere around the tournament and will bring enjoyment to Heineken rugby fans around the world. We want to show the epic nature of this world-class event and our world-class beer. It’s all about fans, the game and our beer working as one to literally bring the world closer together. 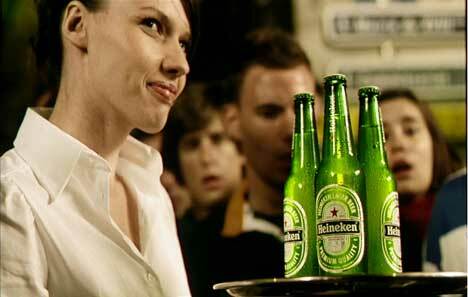 The fully integrated campaign comprises a range of activities, including TV and 10 second break bumpers, print ads, cinema ads, on and off premise promotions, promotional packaging, consumer PR activities, and a special website, www.heineken.com/rwc2007, which contains the Heineken Fantasy Rugby 2007 game. 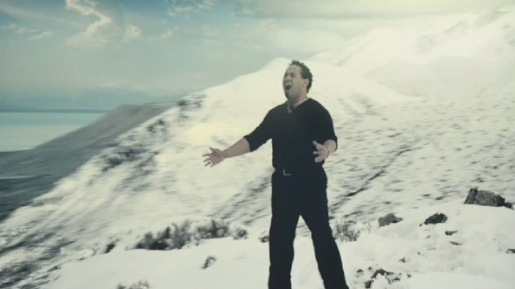 The TV commercial recently aired for the first time in New Zealand. Heineken’s partnership with Rugby World Cup 2007 will be activated with a special focus on the major rugby playing nations of France, UK, Ireland, Australia, New Zealand and South Africa, in line with local advertising laws. 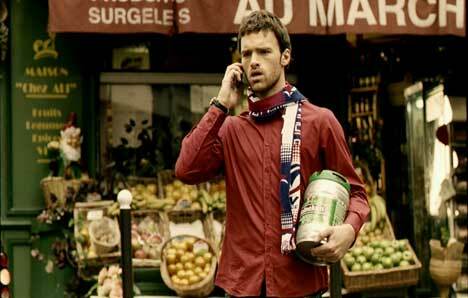 To view the TV commercial visit www.heinekeninternational.com/press/video/rwc2007. The Continental Shift campaign was developed at Bates Singapore by creatives Joshua Tay, Raymond Quah and Robert Gaxiola, aand gency producers Charm Wall, Shareen Thumboo. Filming was directed by Lance Kelleher at 8 Commercials, Sydney, with producer Annie Schut, director of photography Stefan von Borbely, editor Danny Tait at The Tait Gallery. Sound was produced at Nylon Studios, Sydney. Colourist was Ben Eagleton at Bean Colour.